Meet little Logan! Logan came to my home studio when he was just seven days old. This little (not so little) guys was ten pounds at birth! I bet he was 11 by the time I met him, 11 pounds of pure sweetness!! 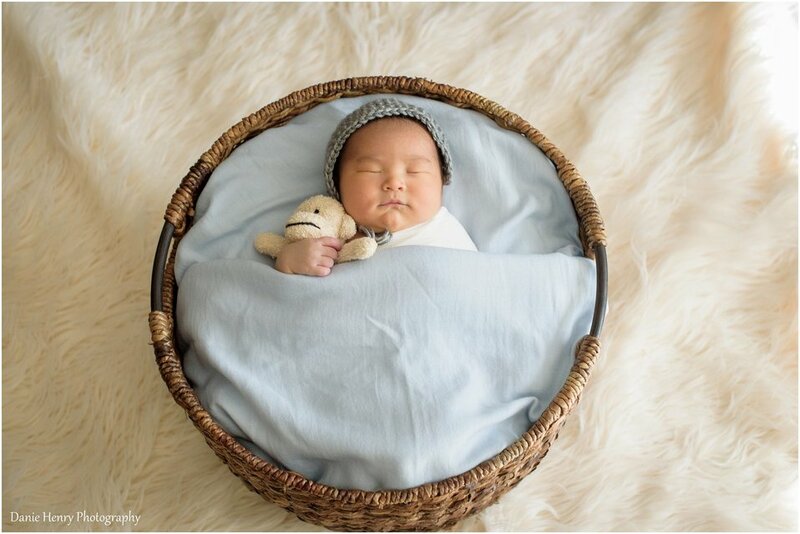 I generally provide all of the props, baskets and blankets for my newborn sessions. I always encourage parents to bring some special things along. Logan’s mom and dad brought some really fun personal items to our session. He had a handmade blanket, some special items from their California alma mater’s, and a few things that remind them of Hawaii. Mat was born and raised in Hawaii. Look at that sweet sleepy baby! I think he has the best chubby cheeks. 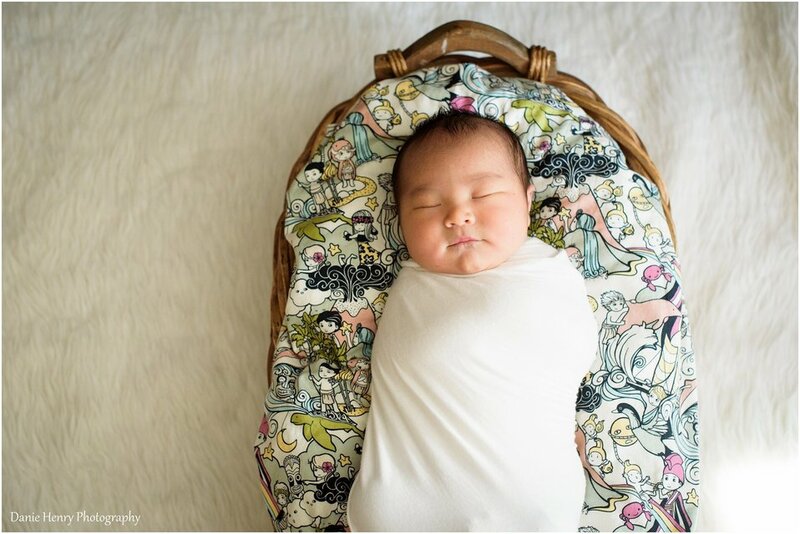 Back rolls and chubby cheeks! Logan has some of the best. Even between poses this precious little boy made some really sweet faces and expressions. I thought this was the cutest. Mom went to one school and dad went to the other. They had some really fun stories from their dating and college years. It seems that this little guy is destined to be a California college graduate. These are two very proud parents. They are so in love with their little guy. New parents have to deal with all kinds of changes. A new baby is a lot of hard work. These two are taking it all in strides and enjoying their little guy along the way. New mommies are some of very my favorite people. There’s nothing so joyful (and often exhausting) as finally holding your baby in your arms and looking him in the face. I’m so honored to be around these beautiful women at this very special time in their lives. Congratulations Lisa and Mat! I’m so happy for you. You are already amazing parents. Have any questions about my sessions? I’d love to answer them! Just contact me.